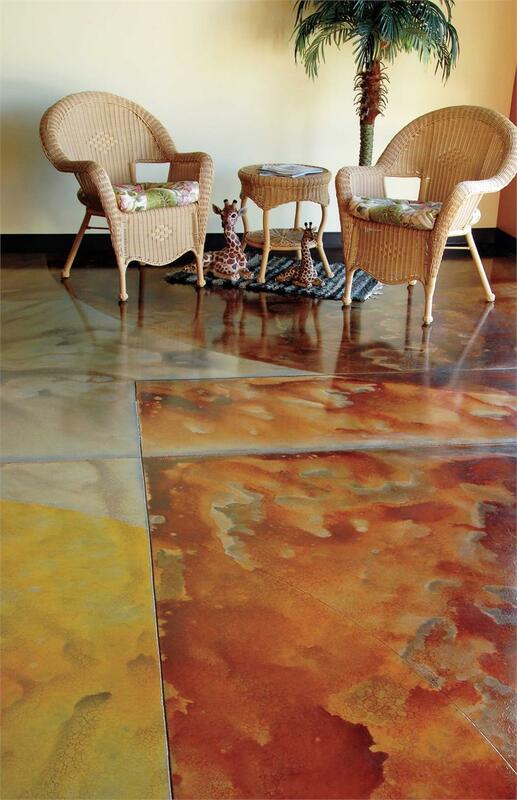 Like what you have come to expect with our line of products, SealGreen™'s E10 Epoxy™ is an environmentally safe - harming neither pets, plants, or people; low odor, moisture barrier that gives a glossy look to floors. E10 Epoxy™ penetrates the concrete surface forming a semi-resilient barrier, quickly curing, and allowing foot traffic in less than an hour. The surface remains usable with flooring adhesives for wood panels and carpet. Modern, airtight houses draw moisture from the ground. Water seeping through the concrete evaporates and enters the home as moisture. The average basement lets in over 10 to 15 gallons of water each day - several times more than showering and cooking combined! The new basement is by far the single largest source of humidity in your home. By sealing your basement you will reduce humidity, mildew, musty odors, cracks, and concrete disintegration. Most new basements develop humidity within 10 to 15 years due to settlement of the structure. Efflorescence ("white powder") musty odors are the first warning signs. Basements are the No. 1 complaint of homeowners: over 60% of homes have a humid 1 in 3 have some mold and mildew, and over 2% have the toxic "black mold". 1 out of 5 homes has an elevated level of other toxic problems such as radon gas. The basement is part of the foundation of your home. It is typically surrounded by dirt, which contains high levels of moisture. This moisture, when it comes into contact with the concrete walls and floor, soaks through the concrete appearing in the inside of your home as humidity, this causes odor in basements, mold, mildew, wet floors, cracked floors, concrete dust, and sweaty walls, and depending on the area you live you may even have other problems. With time all basements eventually develop hairline cracks due to settlement. If you're planning to finish your basement you need to seal the concrete to avoid expensive carpet or flooring repairs later. All this can be prevented or stopped if you seal your concrete walls and floors. SealGreen™'s E10 Epoxy™ is acceptable for use in schools, health care, commercial and industrial buildings and retail stores where a moderate moisture barrier and quick drying are required. Thanks to all your help and support it went really well and was way easier than we thought it would be. Plus, there was no "fumey" smell so we were able to stay open while we were staining and sealing. Love your products! Jason and Colleen Gerke, Jowler Creek Winery.